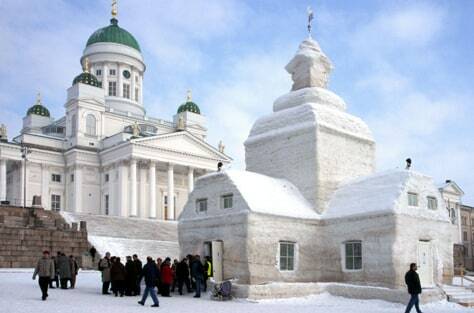 The coldest city is Helsinki, Finland with an average annual temperature of 41 degrees. Helsinki is the world's second most northern capitol, situated near the Baltic Sea. The metro region spans several islands and peninsulas. Winter temperatures average 27 degrees. The thermometer can hit the 80s during the summer, but never for many days. The city recorded its record low temperature of—30 degrees in 1987. Runners up: Stockholm, Sweden (43); Oslo, Norway (44); Copenhagen, Denmark (46).